Perched high above the Amalfi coastline, Ravello is probably the most romantic place I've ever been. It has all the charm and beauty of other coastal towns like Positano, but with breathtaking views at every turn and far less tourists. Add in the Italian castles-turned-luxury-hotels, and it's little wonder that this place was home to several famous 20th century affairs, and even the elopement of Greta Garbo and Leopold Stokowski. 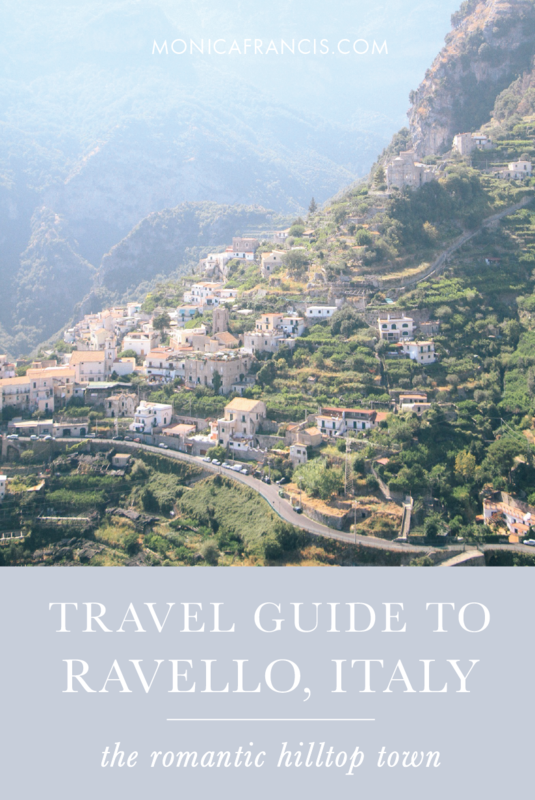 Starting in Amalfi, catch a bus or taxi up to Ravello - or make the two-mile hike if you have more time. Cars aren't allowed within the town itself, so enjoy wandering the narrow streets while browsing the art shops and custom sandal stores. For lunch, enjoy a casual meal at the local trattoria Cumpà Cosimo. Visiting the Terrace of Infinity in the Villa Cimbrone gardens is a must in Ravello. Jutting out from the edge of the hilltop, the view from the terrace is miles of blue sea, blue sky, and zig-zagging coastline below. Spend an afternoon exploring the gardens here, and at Villa Rufolo. When aperitivo hour arrives, you're spoiled for choice. Head to Babel for local wines and Italian tapas, indulge in an Aperol Spritz at the luxurious Palazzo Avino, or find an outdoor table at Luigi's Bar. Settle in to drink & snack while the sun sinks in the sky. 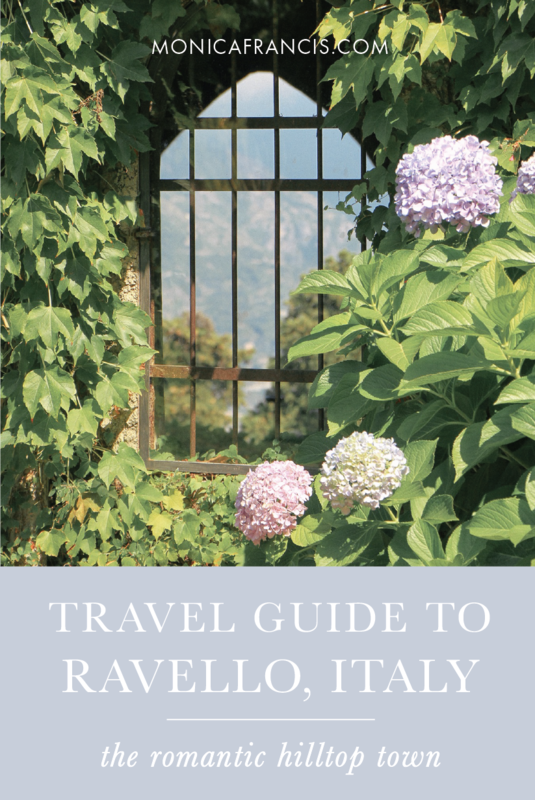 If you're lucky enough to be staying overnight in Ravello (it's on my wishlist), check into the Belmond Hotel Caruso, Villa Cimbrone, or Palazzo Avino. Each hotel has its own fantastic views, picturesque swimming pools, and shuttle service to the coast - you really can't go wrong.